Glenn Allen Wells of Dothan passed away at his home Sunday, January 20, 2019 at the age of 80. Funeral services will be held at 3 PM Thursday, January 24, 2019 from the Ward Wilson Funeral Home Chapel with Dr. Johnny Fain and Reverend Bob Gross officiating. Speaking on behalf of The National Peanut Festival Board will be Jack Collier and speaking on behalf of his Posse Club will be Mona Blissett. The family will receive friends at the funeral home from 1PM until 3 PM Thursday, prior to the service. At all other times, the family will be at his home on Allen Wells Road in Dothan. Allen grew up on a farm near Cottonwood and graduated from Cottonwood High School in 1957. In 1956 his father founded Wells Tractor Company which later became the Massey-Ferguson dealer in Cottonwood. In 1974, Mr. Wells became a co-owner, moving the business to Dothan after purchasing Massey-Ferguson franchise. He worked there until his retirement in 2005. He was an outstanding contributor to Houston County Agriculture being selected as the 1990 Outstanding Agri-Business Leader of Houston County. 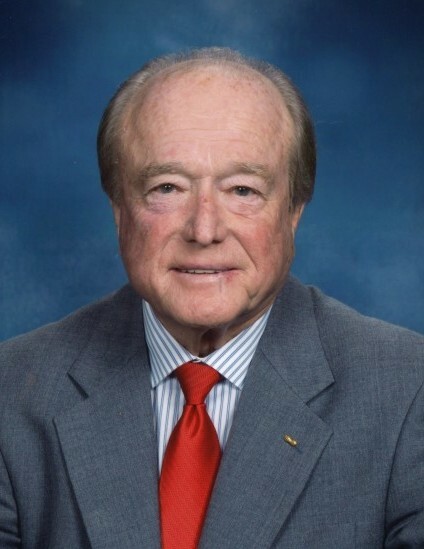 Mr. Wells has been a member of the National Peanut Festival Board since 1982 serving as President in 1990. Allen was instrumental in the purchase of the land and relocation of the festival to its present location. Moving to Emeritus status in 2002, Allen continued on the long range committee until his death. He was previously a member of the Houston County Farm Center Board as well as a current member of the Dothan Rotary Club and the Dothan Elks Lodge. Allen was a member of First Baptist Church of Dothan and enjoyed working his yards, hosting get togethers and weddings for family and friends at his farm. Allen was preceded in death by his parents, R. E. and Hettie Wells, and his wife, Loretta Weeks Wells. Allen is survived by his wife of 4 years, Edith Granberry Wells; a sister, Jean Greathouse (Robert) and brother, Dwight Wells (Ann) both of Dothan; step-children, step-grand-children as well as several nieces and nephews. Honorary pallbearers will be the National Peanut Festival Board of Directors and very special friends of his Posse Club. The family would like to say a very special thank you to Wendy Ulry for her untiring devotion and loyalty to Mr. Wells and his family.